At this point we advise you on what Planning Permission to go for. Please note: Whichever one you go for, you will still need an OS map at £50. As part of our service, we submit the application, will fill in all the necessary forms and deal with the planners on your behalf. 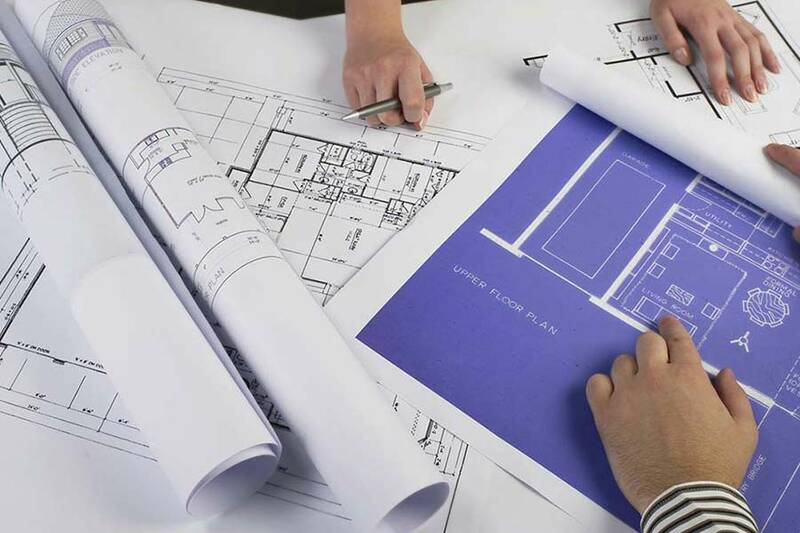 If your Planning Application is refused, we will speak to the planners to see why and what change or changes would be acceptable. You get one free resubmission within 12 months of refusal, providing it is the same project. After that our charge for changing the drawings and submitting the application for a second time will be £100. Unlike Planning Fees, Building Control Fees are dependent on the size of the building or works to be carried out. Most extensions fall within the £175 – £200 range per section. To check how much each Council charge, you can go the following website for a guide. Beam connection details (when one beam is connected to another) are £80 per connection. If your building plans require you to build near or over a shared drain run, insert or move a manhole, then you will require permission from Southern Water. This will be dealt with under the Building Control Application. We will deal with this for you. The fee payable to Southern Water is £355.20 per manhole and £867.60 to build over. The amount of openings, (windows and doors), you are allowed to have under a “Rule Of Thumb” is 25% of new floor area, plus any existing windows and doors taken out. You can go over this, but you will require a SAP calculation, A SAP calculation is around £200. Its purpose is to provide accurate and reliable assessments of dwelling energy performances that are needed to underpin energy and environmental policy initiatives. Planning Stage: After we have finished the survey and produced the “Existing” drawings, we will require a 50% deposit of the drawing fee, with the balance due when the application is ready to submit. We will send you an invoice, and on receipt of payment, will submit the application. Building Control: We will require a 50% deposit of the drawing fee, with the balance due when the application is ready to submit. We will send you an invoice, and on receipt of payment, will submit the application. Our price includes one full set of the drawings, Building Control Notes, Calculations and any other reports as a hard copy, and one set in PDF. If you would like extra Paper copies of the A3 drawings to send out for tender, these will be £5 per set. You can print off as many copies of the A4 paperwork as required. When you start to build you will need Building Control to come out and inspect the work for you. They will invoice you directly. All invoices to be paid within 5 days.